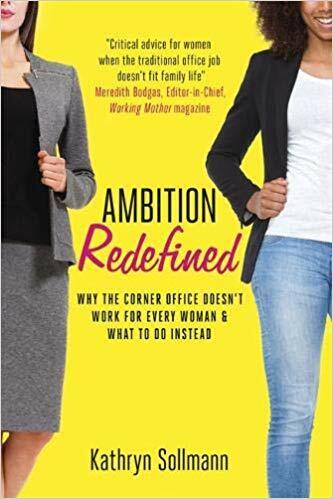 Kathryn A. Sollmann, author of Ambition Redefined: Why the Corner Office Doesn’t Work for Every Woman & What to Do Instead, is a trusted and pragmatic career coach who has created and led hundreds of programs that help women sustain and advance careers as they blend work and life. In all her presentations, Kathryn emphasizes the importance of women staying in the workforce through every age and life stage to achieve long-term financial security. Through her blog and coaching firm, 9 Lives for Women, she helps current professional women find the work flexibility they need to avoid costly breaks, and she shows women at home caring for children and/or aging parents how to return to lucrative flexwork. Her “Make Work Fit Life” event drew an audience of 200 women and sponsorship from AXA Advisors, Cigna, Ernst & Young, Fidelity, Merrill Lynch, Raymond James and Wells Fargo. She has led compelling discussions for women’s professional and community organizations, internal corporate women’s groups, college alumni and career services programs and ﬁnancial advisors focused on retirement security for women. A frequent media resource, Kathryn has been featured by The Wall Street Journal, The New York Times, Financial Times, Cheddar TV, WCBS Radio, Yahoo! Finance, ForbesWomen, Next Avenue, Wharton Business Radio, CEOWorld Magazine, Entrepreneur, Quartz at Work, the American Management Association and more. 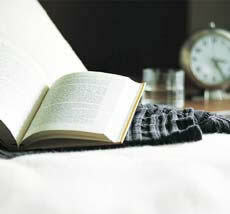 Ambition Redefined has been called a “Business Book to Watch” by 800-CEO-READ. Find links to her interviews and appearances here. A mother of two daughters, Kathryn has worked non-stop since the age of 16 in many flexible ways. As her family needs ebbed and flowed, she negotiated flexible full-time and part-time schedules with demanding employers, launched a variety of entrepreneurial ventures solo and with partners, established independent marketing communications and career coaching practices, worked in a home office as a telecommuter and generated a wide range of freelance projects—while managing a household, carpooling, attending school plays, tending to sudden health issues of aging parents and in-laws, taking dogs to the vet and making yet another dinner. With responsibilities for children and aging parents, most women take at least one costly career break—forfeiting up to four times their salaries each year out, losing professional traction and jeopardizing long-term ﬁnancial security. Women learn the ﬁnancial impact of career breaks and how a better work+life blend emerges with a pragmatic focus on life priorities. Today women feel pressure to advance the sisterhood and “lean in” to the top. But up is not the only way forward—and when women are in heavy caregiving mode, it’s okay to lean “in-between.” Women are empowered to develop their own brands of ambition and success, be a leader at any job level and ﬁnd ways to “grow in place” when they don’t have the personal bandwidth for top jobs. How to Pitch Work Flexibilty to Your Boss. . . and Get It! To get a ﬂexible work arrangement in your current job, it has to be a professional pitch—not just a simple ask. When it’s done right, ﬂexibility is granted 80% of the time. Women learn what to highlight in a winning ﬂexwork proposal, safeguards to make sure it works for both employer and employee, and how to anticipate and shut down all potential objections. Too many women still believe there’s only one way to work—in the traditional, more than full-time, inﬂexible corporate job. But the fact is that there are six kinds of ﬂexwork becoming more and more widespread among all industries and job functions. Current and returning professional women get tips and strategies to ﬁnd the ﬂexwork that ﬁts and funds their lives.